The Fens – a trip down memory lane. It has been a bit of a trip down Memory Lane this weekend. The motorhome and I were in The Fens of Lincolnshire – a much maligned bit of our geography – and I went through the village I grew up in – Donington. It brought back numerous childhood memories for me and I tracked down the house I used to live in which in turn reminded me of my dear old Dad trying to keep the weeds on the drive (photo) under control in the absence of any chemicals in those days. He was always worried about the weeds. In reality he probably wasn’t – but through my child’s eyes it seemed a big deal. 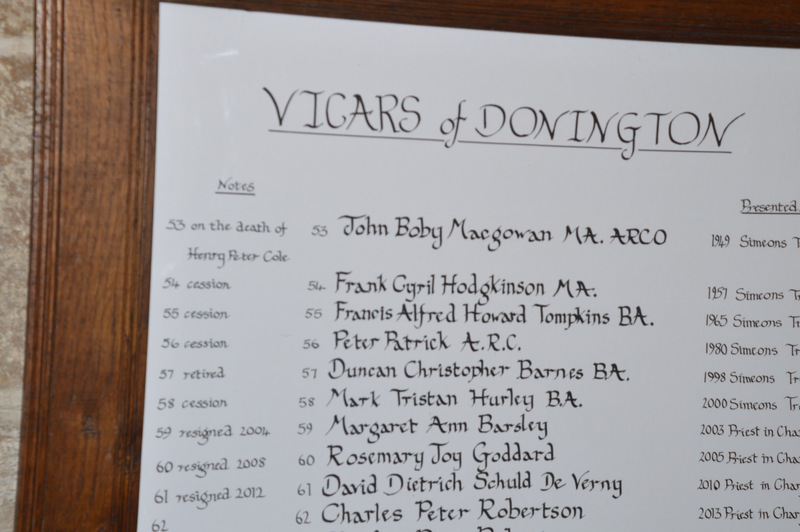 He was a Church of England vicar and my earliest memories are of Donington in which we settled on our return from Australia – I was born in Sydney General Hospital. My older sister was unimpressed with my arrival five years after her’s and regarded me a serious threat to her only-child supremacy. She once very wittily and very acerbically remarked that I never had a childhood because as far as she was concerned I was at least forty on arrival. It was also in Donington that every Monday my mother and I visited the telephone box in the market square so she could speak with her sisters in London. It was here I learned the mysteries of Button A and Button B and the need for brevity (sadly long since forgotten) as there was always a queue of people wanting to use the phone and glowering at us if mother went on a bit – which she was prone to doing. Never speak beyond the pips she would announce – and promptly did so sparking a furious chase for more coins to feed the GPO (General Post Office) machinery. Every school day I caught the bus to Boston and mortally offended my mother when I was about six by asking whether she could wave the bus off less vigorously and more discreetly. I think all parents go through a phase of being an embarrassment to their children and nowadays it would be called not being cool. So; happy days. Lots of freedom and the sun shone and a full English was what you sent your kids to school on. Nowadays if you did that they would be taken into care. By my standards my parents were of the slightly remote Victorian variety – wonderful though they were. Many years later my wife and I were much more involved as parents until I now look at my children who are SO full on with their children I am left gasping for breath. It’s called progress. CL of the year awards 2011. Walnut Lakes Certificated Location (CL), in Algarkirk, Boston, Lincolnshire, has been awarded first-place in The Caravan Club’s CL of the Year Awards 2011, voted for by Club members and presented at the House of Commons on Tuesday 16 April. Walnut Lakes owners Tony and Maria Potts received their award from Dan Jarvis MBE MP, Shadow Minister for Culture, Media and Sport, during The Club’s annual Parliamentary Reception. Certificated Locations are privately-owned, maximum 5-van sites found across the UK, many in idyllic and remote locations on farms, country estates and beside inns, which can provide a valuable, additional income stream for local communities. These awards are presented at the House of Commons in recognition of the Caravan Sites and Control of Development Act (1960) which enables The Caravan Club to grant certificates to landowners to operate CLs. Tony and Maria have run Walnut Lakes CL for five years, and they absolutely love it! The CL is for adults-only – because of the lakes – having previously owned a campsite they wanted to accommodate caravanners in a less formal way to complement their existing holiday lodge and fishing lake enterprise. Around 30% of their CL visitors go for the fishing, but most visit to enjoy the beautiful surrounding Lincolnshire area whilst appreciating the lakeside pitching with the calming views over the water. Another added bonus to this scenic site is the regular fly-pasts by Lancaster Bombers and Spitfires, located at RAF Coningsby, which are en-route to shows across the country. Maria Potts says, ‘they are an amazing sight’. With regular public transport to the local village, the CL is great for motorhomers, and the flat terrain makes it ideal for cycling and walking. Most first-time visitors are amazed at what the area has to offer. The local award-winning village of Sutterton is a mile’s walk away, it has two pubs, a restaurant, fish and chip shop, a church and a duck pond. Frampton Wash RSPB Reserve is a flat, three-mile cycle ride away down the lanes and it attracts birdwatchers from across the country. Spalding, five miles away, holds a world-famous Tulip Parade; one of the biggest events of the year in that area, and there are many other events for tourists including a regular farmers market. The awards didn’t stop there, Hillcroft Certificated Location in Kilgetty, near Saundersfoot, Wales was awarded second place in the awards. 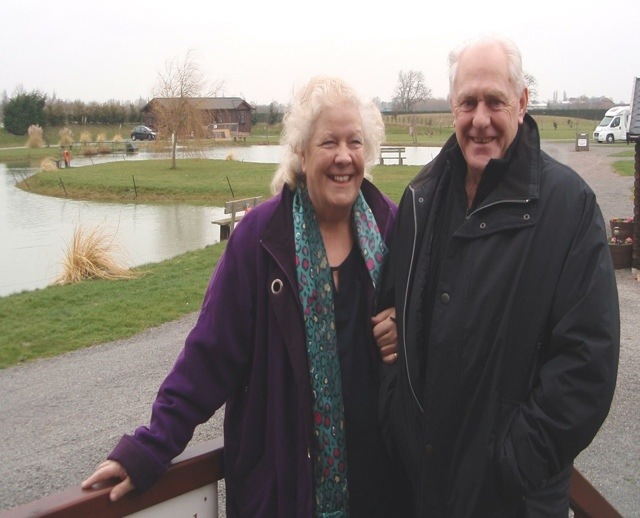 Hillcroft CL owners, Bruce and Ann Regimbal have been operating their CL since 2000, and this is the third time they have taken national honours, being placed third in 2004 and 2008. The CL is open all year and the Regimbals commented that there are definitely more people venturing out and about at all times of the year. “We are absolutely thrilled to come second in these national awards,” says Bruce. “We would like to take this opportunity to thank members for voting for us. After 12 years of running the site, we are still thoroughly enjoying it. And we would like to reassure everyone that when we are away our site minder, Mr Beaky, is still going strong and whistling at the ladies!” (NB Mr Beaky is the pet parrot of a regular member and a local site celebrity!). And finally, another Lincolnshire Certificated Location was Honoured, with Keal Lodge Certificated Location taking third place. Owners Keith and Alison Rogers also received their third-place award during The Club’s Parliamentary Reception. Keal Lodge CL is only a five-minute walk from the pretty, historic Lincolnshire village of Deeping St James with its pubs and restaurants, good local shops and riverside walks along the river Welland. The area has so much to offer; varied rolling countryside, quiet relaxing riverside walks to the local village, nearby is the most gorgeous of towns – Stamford, and from the site there is easy access to glorious Rutland Water. 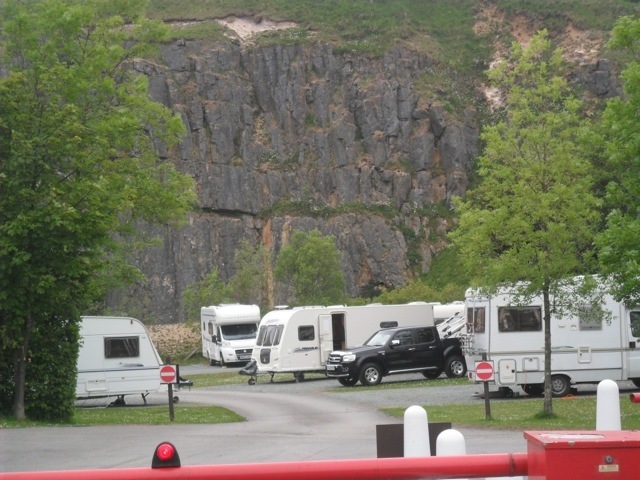 The site has fully serviced pitches, is open all year and offers WiFi access. THE CARAVAN CLUB ADDS THREE SITES TO ITS NETWORK. The Caravan Club has announced three new additions to its sites network in 2012. The beautiful Strathclyde Country Park Club Site, situated in the breathtaking Strathclyde Country Park only 12 miles from Glasgow, will be an open-all-year site. Renovation work on the site, which was an existing touring park acquired by The Club, started at the beginning of January and should be completed by the end of October meaning the site will join the network towards the end 2012. The new site will have 107 all-weather touring pitches – including 12 service, 10 enlarged and 50 tent pitches, providing nearly 135,000 extra bed nights per year for members and non-members alike. Conveniently located near the M74, the site also boasts 296 storage bays. Strathclyde Country Park is one of Scotland’s most popular visitor attractions and will be hosting the Common Wealth Games in 2014. There is loads to see and do at the park, including sailing, kayaking, water skiing, rowing, country walks, plus bike and boat hire. Visitors can partake in every outdoor activity imaginable from kite flying to bird watching, geocaching to sunbathing, it really is a beautiful outdoor space for all to enjoy. The new site will also be near to Scotland’s largest family theme park. Once development work is complete, Strathclyde Country Park Club site will have first-rate facilities including, two toilet and shower blocks, an information room, a dog walk, cycle racks and a children’s play area plus a popular family restaurant just a few minutes’ walk away. There will also be two new Affiliated Sites joining The Club network during 2012. Royal Vale Caravan Park, situated in the small village of Allostock, in the heart of the beautiful Cheshire countryside, just 9 miles from junction 19 of the M6 Knutsford. The site opened on 7 February and facilities at this site include all weather pitches, electric hook up at 16 amps to all pitches (additional daily fee), water hook up and grey waste up to all pitches, centrally heated toilet and shower block, laundry facilities, chemical toilet and waste water disposal points, high speed internet access, disabled facilities for wheelchair and walking disabled and dogs are welcome. 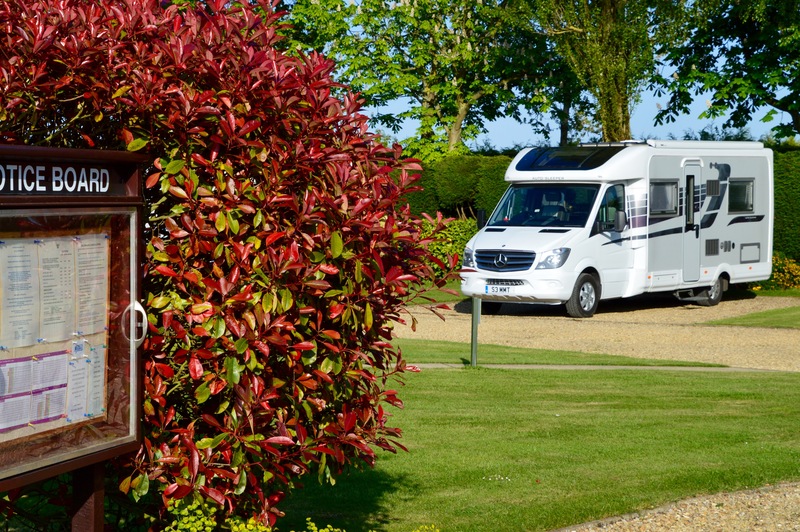 Wagtail Caravan Park, situated within a beautiful country park in the Lincolnshire countryside, six miles from Grantham, 12 miles from Newark and one a half miles from the A1. 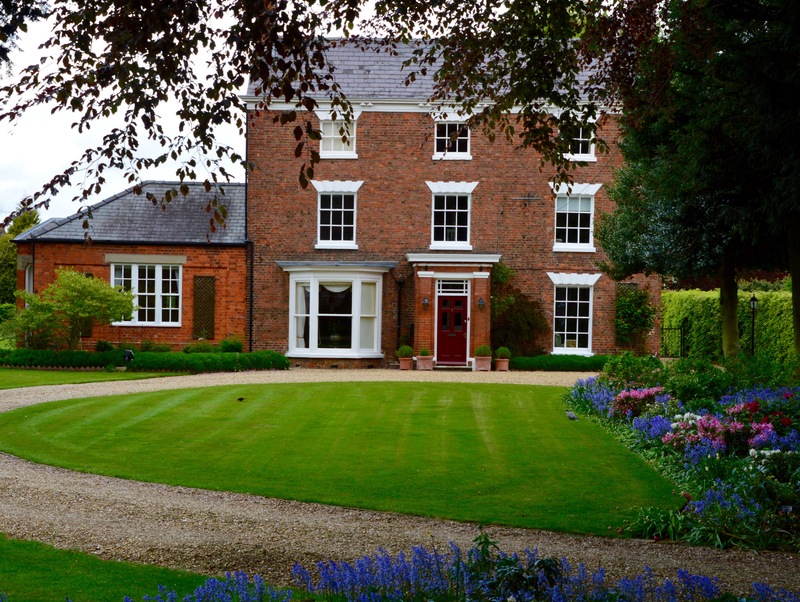 This Open-All-Year site is perfectly placed for many local tourist attractions such as Belton House and the historical market town of Newark. The park is also proud to have been awarded a David Bellamy Gold Conservation Award that recognises holiday parks for their efforts in protecting and enhancing Britain’s environments. Facilities at this site include 16 amps electric hook up, a mix of hard standing and grass pitches, new centrally heated utility block, disabled facilities for wheelchair and walking disabled, laundry room, an adult only area on site and dogs are welcome. Electric motorcycles are available for hire on site and two private well stocked fishing lakes (permits available for hire by members).